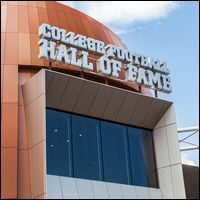 The College Football Hall of Fame captures the stories and accomplishments of the players who broke records and won hearts, cementing their legacy in a one-of-a-kind experience that pays homage to the tradition and heritage of the game. Guests will be treated to a personalized experience in the Hall through 10 augmented reality displays where they can select video and images of players and coaches from their favorite school. 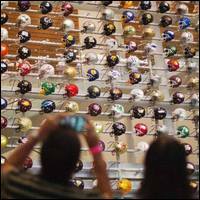 Another feature is the Chick-fil-A Fan Experience, where visitors can see the helmets of more than 700 college football teams, walk on a 45-yard replica football field, see an ultra-high definiiton film in the Game Day Theater, and much more.